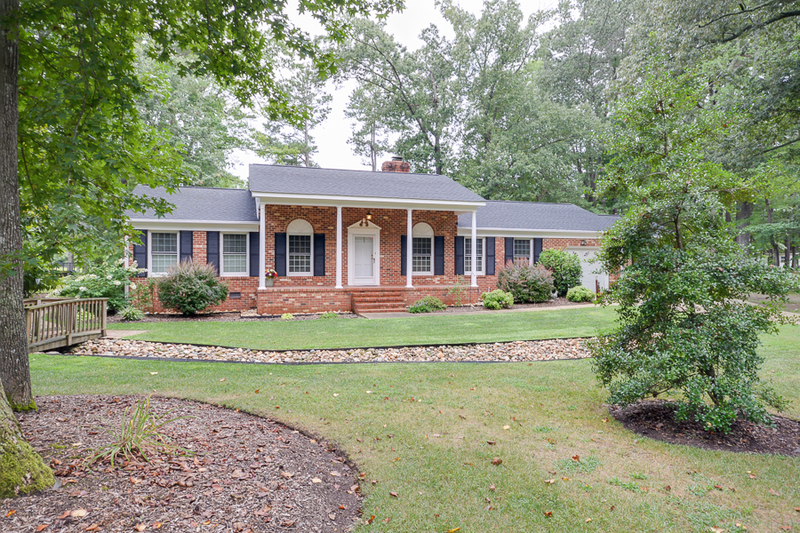 So many features in this enchanting 3 bedroom, 2 bath brick rancher located at 107 Paradise Point Road, Yorktown, VA 23692! Enjoy serene views from large screened porch and covered patio or cozy up to the beautiful stone fireplace. Cooks at all levels will love the renovated kitchen. New windows and roof in 2010. One bedroom, 1 bath apartment above detached 2 car garage for guests or tenants! Many recent upgrades! Fully renovated kitchen in 2010 to include new cabinets, granite countertops & appliances. Remodeled gas fireplace & den. Carport, screened porch, and covered porch added in 2010. New windows and new roof in 2010. Wrapped exterior trim for easy maintenance! Strategic irrigation system with French drains, dehumidifier, sump pump, and lined crawl space. Water from yard drains to rock ditch into the wetlands. Hampton Roads Real-e-statement is written by Alyssa Godwin, a Realtor with Liz Moore and Associates. For questions on 107 Paradise Point Road, Yorktown, VA 23692 contact Alyssa at 757-329-6161 or alyssagodwin@lizmoore.com. You can also find Alyssa on Facebook or on the web at www.lizmoore.com/alyssagodwin.